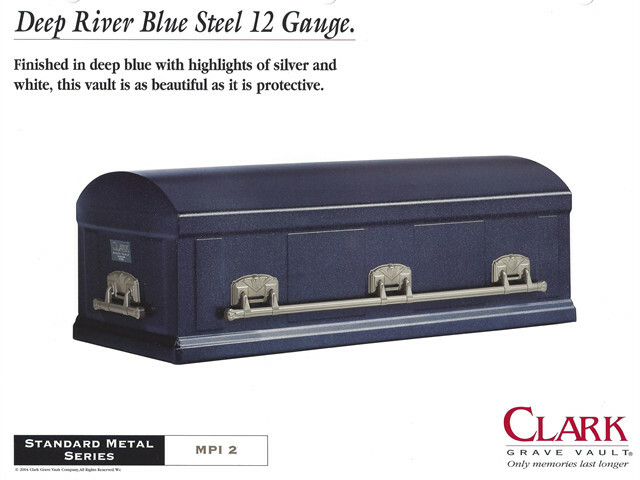 A casket is normally thought of as the final resting place for a loved one. 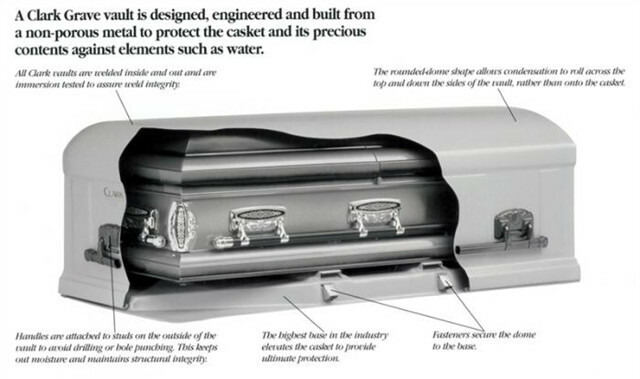 However, a casket alone is not designed to be able to handle the moisture and the pressure of the earth around it for an extended period of time. 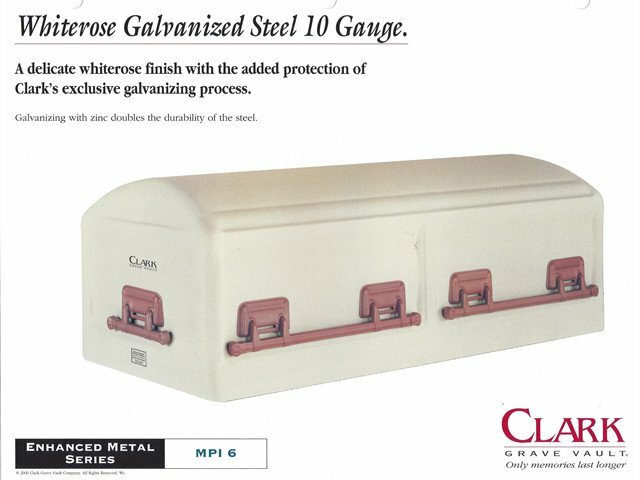 A burial vault fills this gap by providing a permanent enclosure around the casket that can act of a buffer and withstand the pressure of the earth and cemetery equipment. A burial vault providing peace of mind, knowing that your loved one is safe and secure from any environmental, water, or weight damage. Air pressure inside an inverted glass will not allow the water level to rise more than a fraction of an inch. This is the same principle that is used in a glass of water in a kitchen sink. 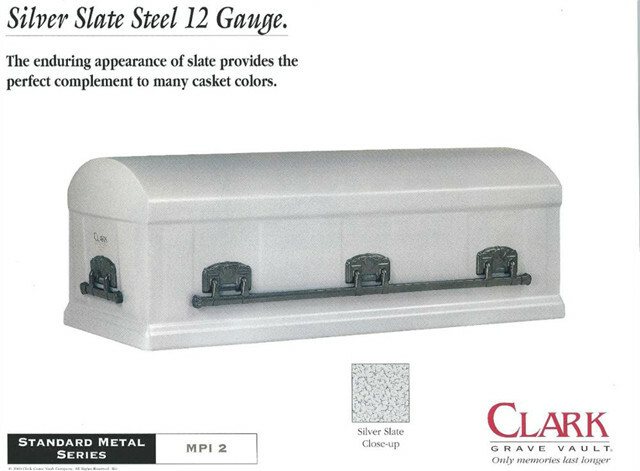 A metal burial vault protects its contents using the same type of principle. Its dome shaped design allows air pressure to build, to keep moisture out. Metal vaults come in two general types, ferrous and non-ferrous vaults. A non-ferrous vault which would be made of either copper or bronze provides the highest levels of protection that can be found today. A ferrous or steel vault is measures in a word called a gauge. A gauge is the amount of sheets of steel to make one inch. So in essence the lower the number, the thicker and therefore the more durable the vault. 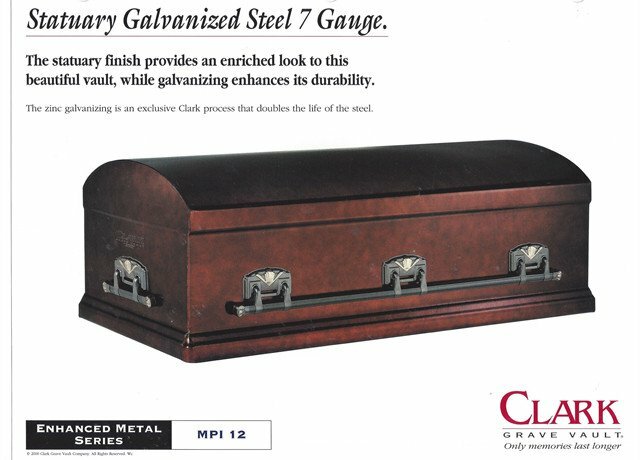 Clark Vaults come in a set of four colors, each Clark Vault can come in silver, blue, bronze, and white. To provide each family the opportunity to select the vault that best goes with the family's choice.